Japanese stiltgrass is an annual grass reaching heights of up to 4 feet and resembling a small, delicate bamboo. 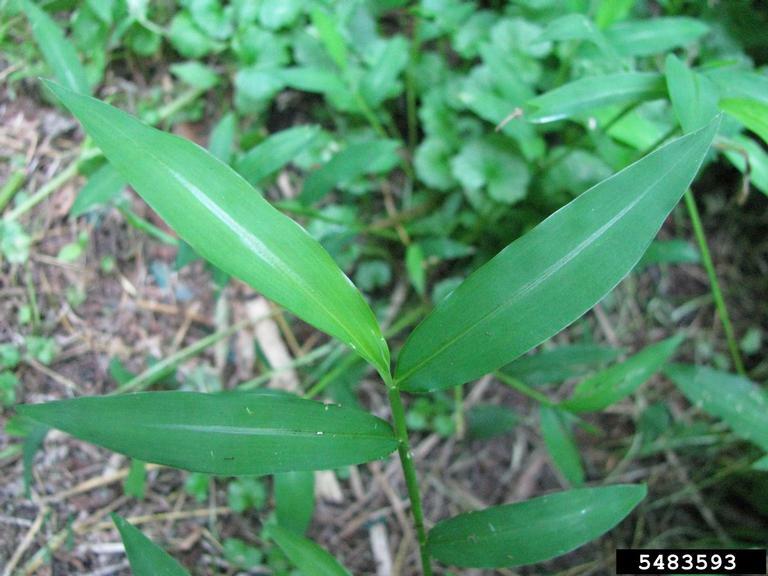 Narrow lance shaped leaves have a silvery stripe of fine hairs along the midrib of the upper leaf surface. Flower spikes appear in September. 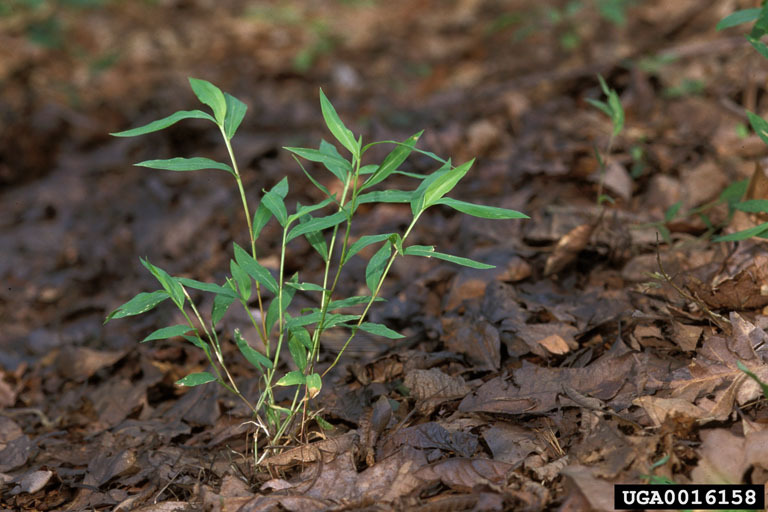 Japanese stiltgrass grows in various environments including moist open woods, wetlands, uplands, fields, thickets, roadsides, and ditches. This grass thrives in areas subject to disturbance. It prefers acidic to neutral soil high in nitrogen. Japanese stiltgrass is well adapted to low light conditions and forms dense lawns in areas where it grows vigorously. 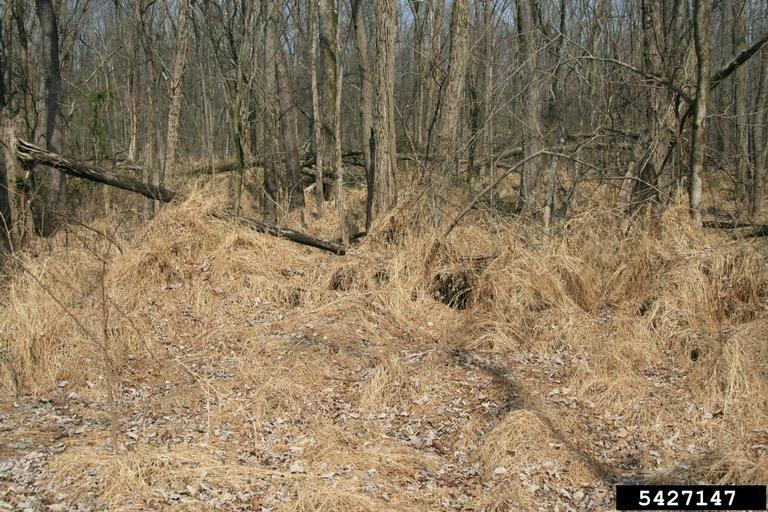 It will shade and crowd out native vegetation. Seeds are dispersed by wind and foot traffic and will remain viable in the seedbank for 5 years. Manual pulling is effective on isolated populations only when roots are removed and remains are bagged and transported off site. This annual grass can be pulled or sprayed with herbicide throughout most of the growing season, as long as the plants are not setting seed. 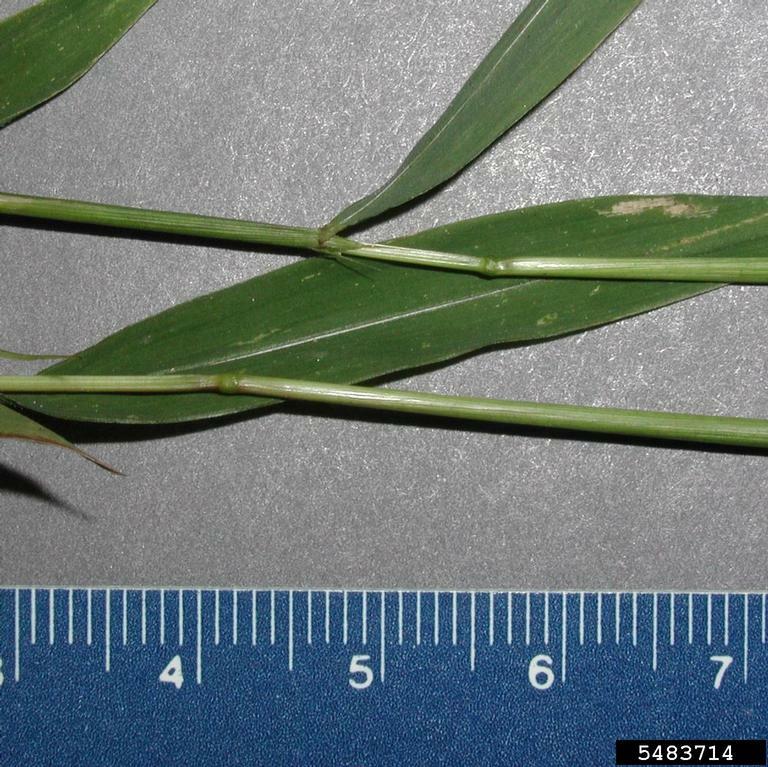 The silvery midrib and smooth nodes on stiltgrass stems are key traits which differ from the native whitegrass (Leersia virginica). 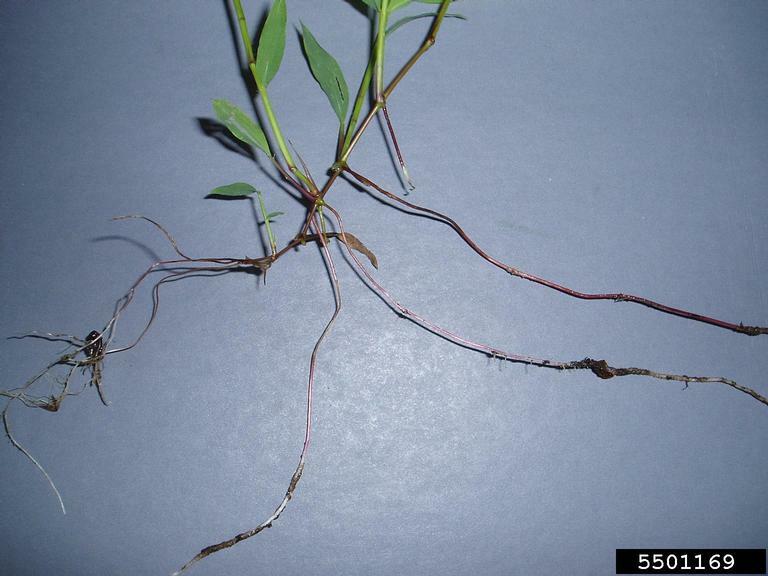 Mature plants have a sprawling habit, with stilt-like roots forming along the stem. 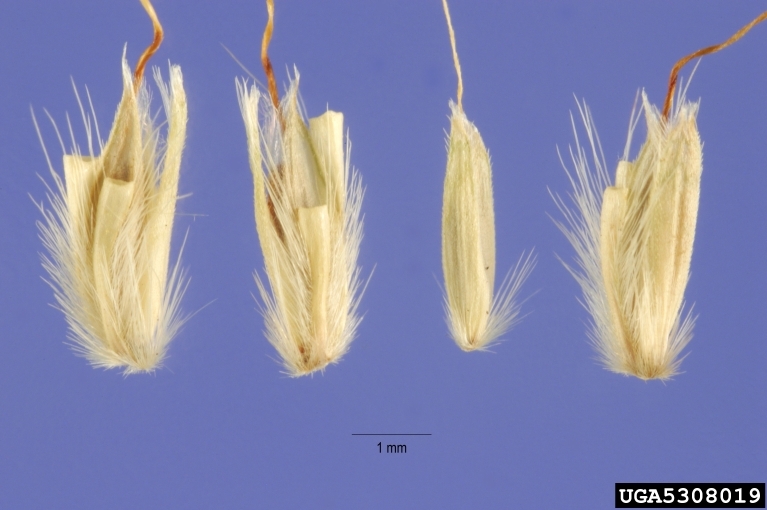 The key diagnostic for stiltgrass is the reflective stripe of hairs along the midrib. 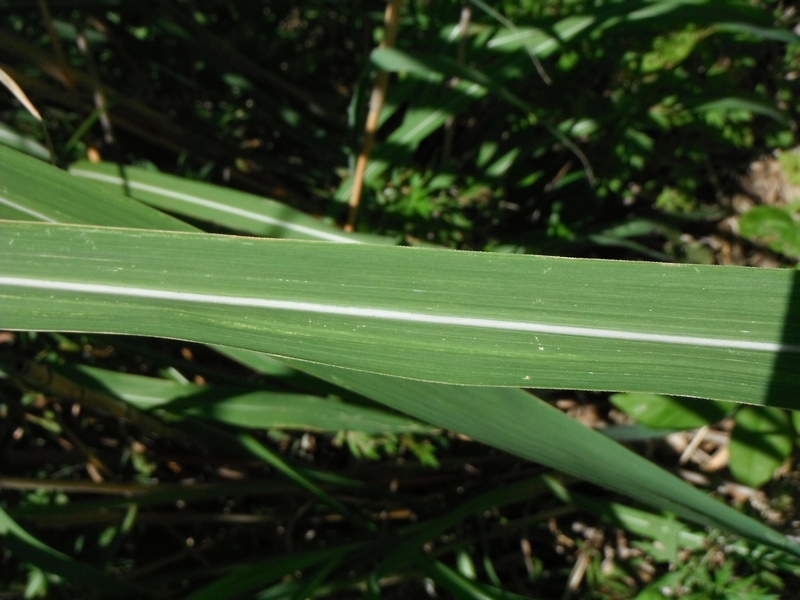 This shine, plus the smooth nodes along the stem, are key to distinguishing it from whitegrass (Leersia virginica), a native grass.